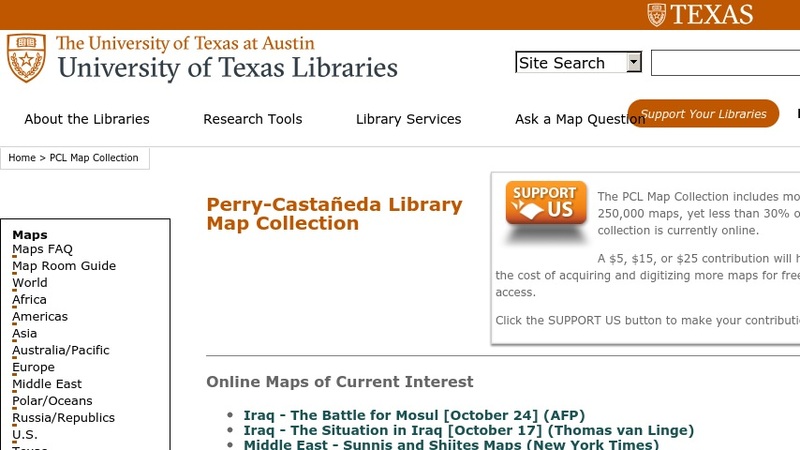 Users can choose from a large variety of maps for viewing, downloading, and/or printing. A set of quick links is provided to maps of current or general interest, and the remaining collection can be searched by country, continent, region, or theme. Links to other map sites are provided.